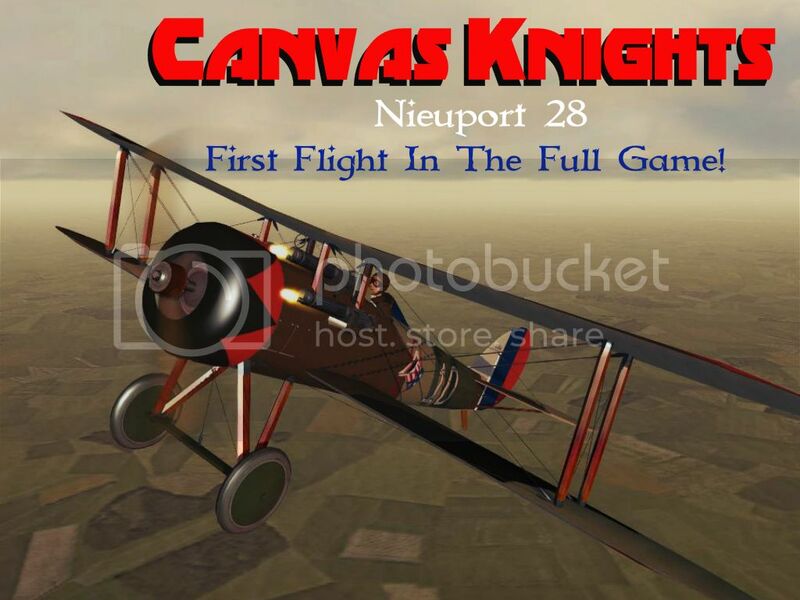 Today I have some good news, the Canvas Knights full paid game update is done and ready! 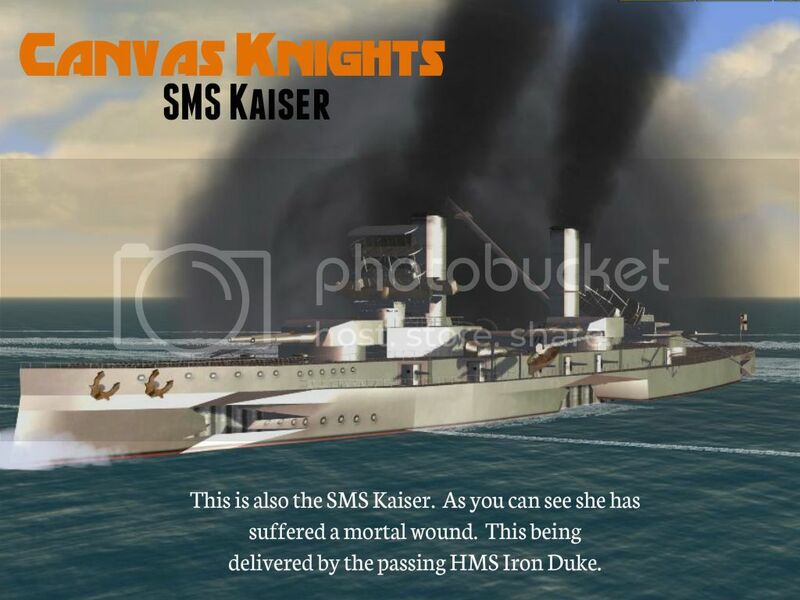 I would like to say that there is one member over at Mission 4 Today that now has the first full CK game and yes it is Darkfall45 so you will be seeing things from him over the next coming days that are not possible with the free CK beta game and maybe he will let you all know what he thinks of the full game now that all game options are open to him. 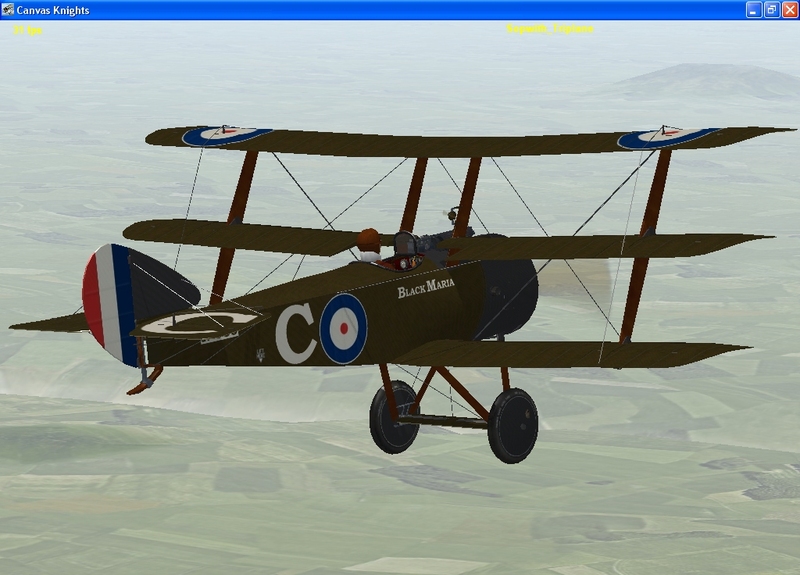 Also the CK beta testers all have the new full CK game and all is working fine! 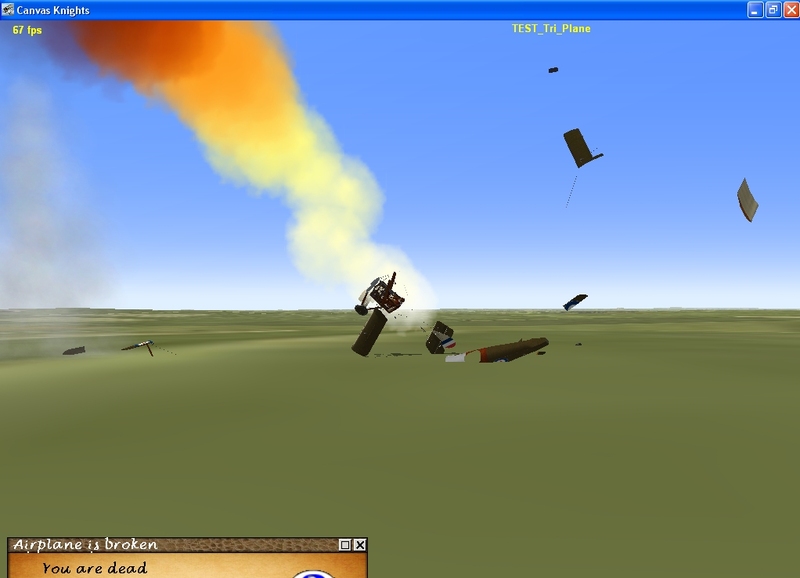 Next is a quote from Darkfall45 over at Mission 4 Today using the full game for the first time. 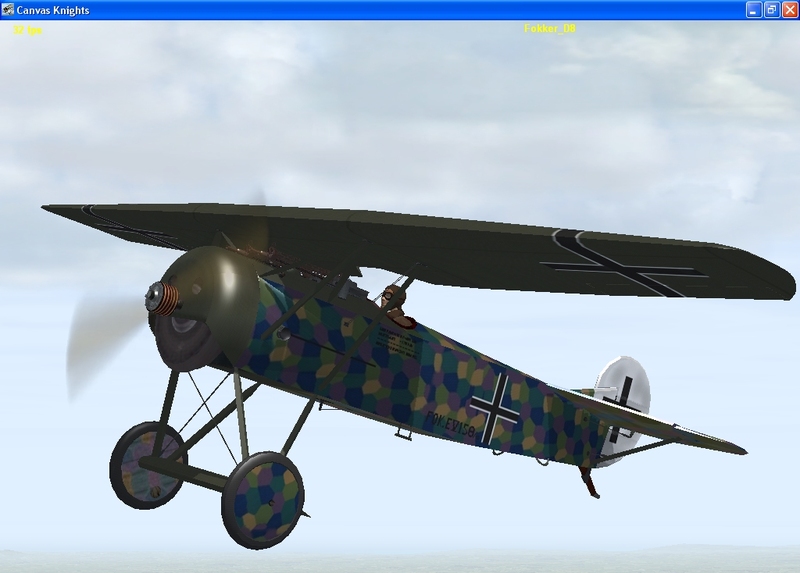 First I would like to thank Deutschmark for his kind generosity. 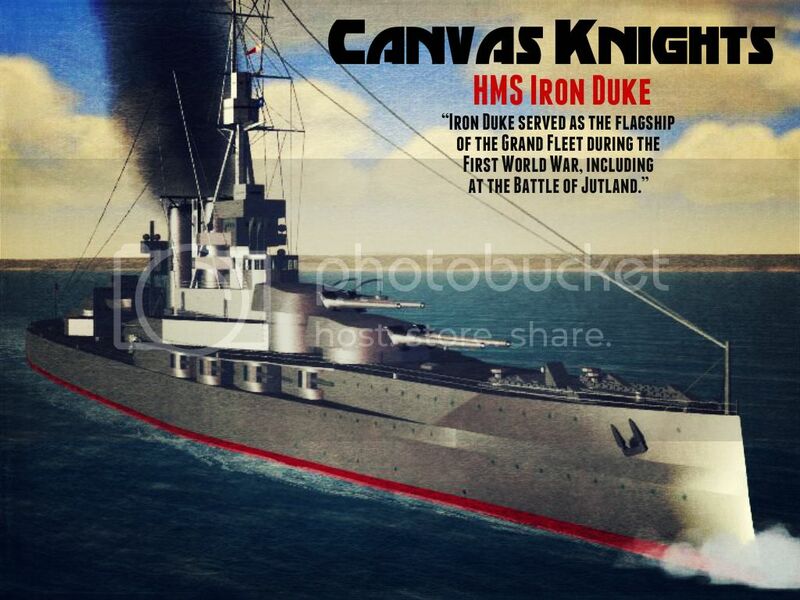 When I began creating Canvas Knights screenart, it was with no thought of receiving anything in return. 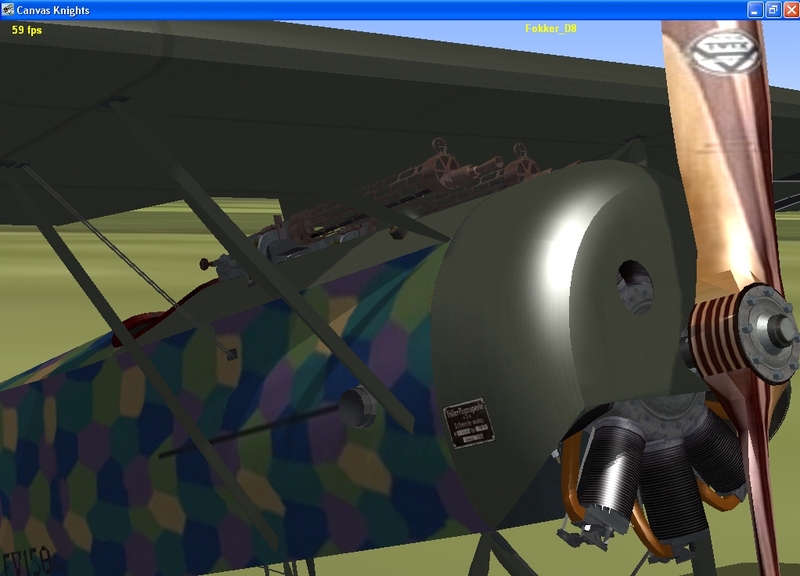 It was done, hopefully, for the enjoyment of my fellow Mission4Today members and those visitors who drop by our wonderful site. 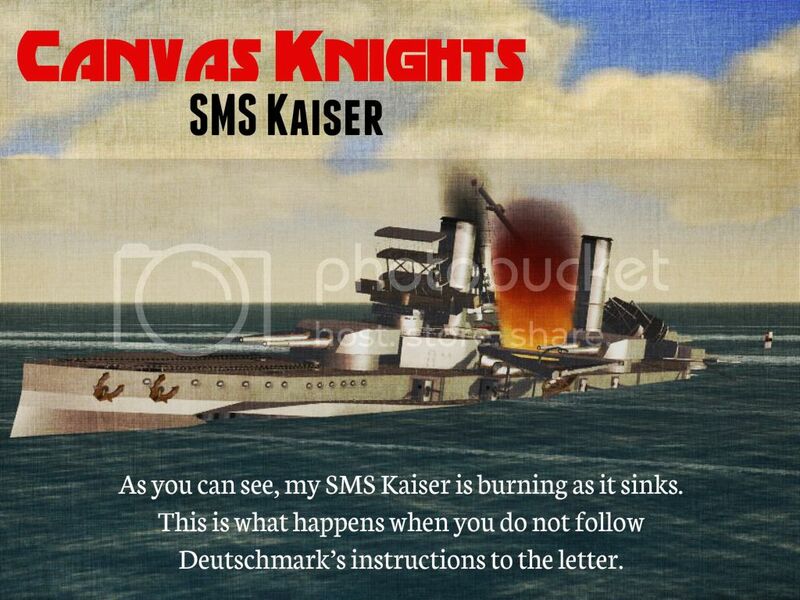 So, again, thank you Deutschmark, you have done an excellent job creating Canvas Knights. 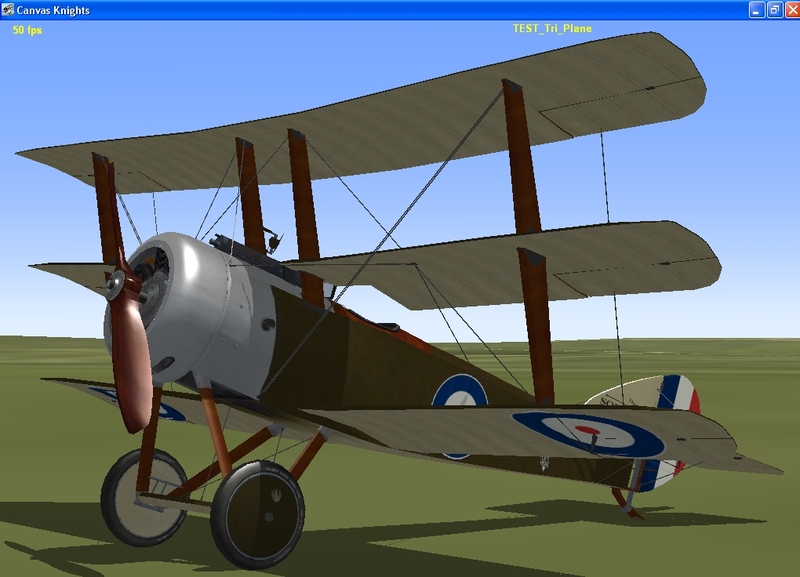 It has been well worth the wait. 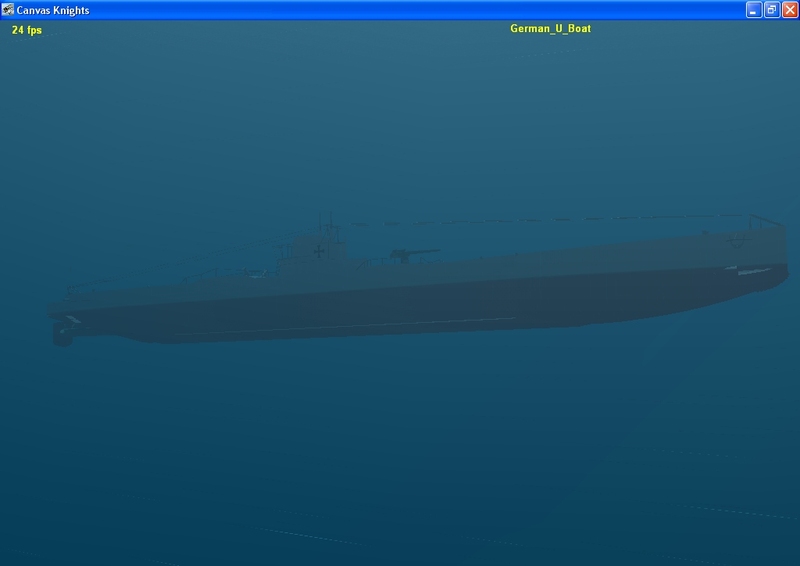 Installation went very smoothly. 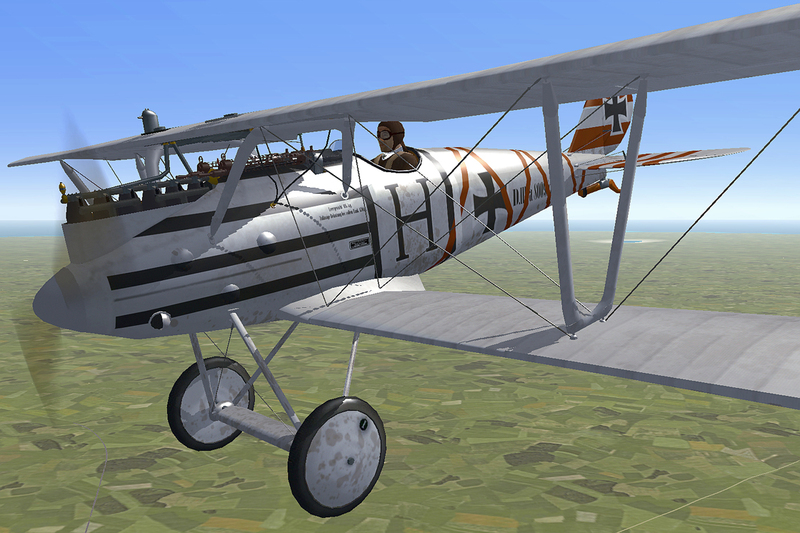 For the first time since I began creating the screenart, I did not have to resort to airbrushing to remove the boarders, the aircraft identification or any other on-screen graphic…It is great! 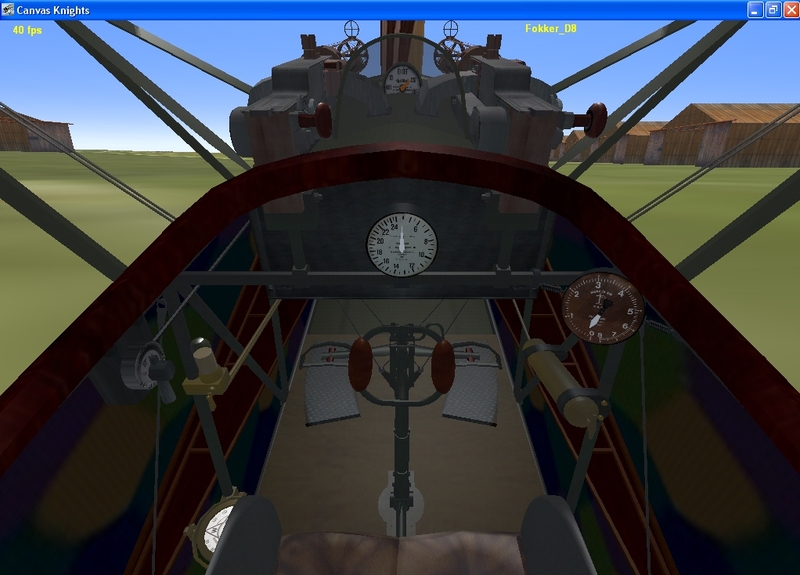 As time allows, I will begin exploring all the features of the Full Game. 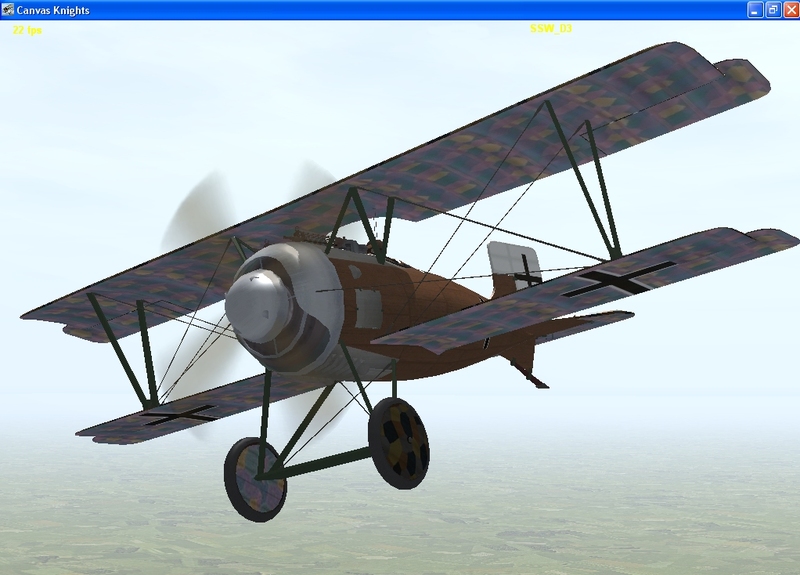 Until then, I will be creating more screenart and showing some of the features that are available…so stay tuned. 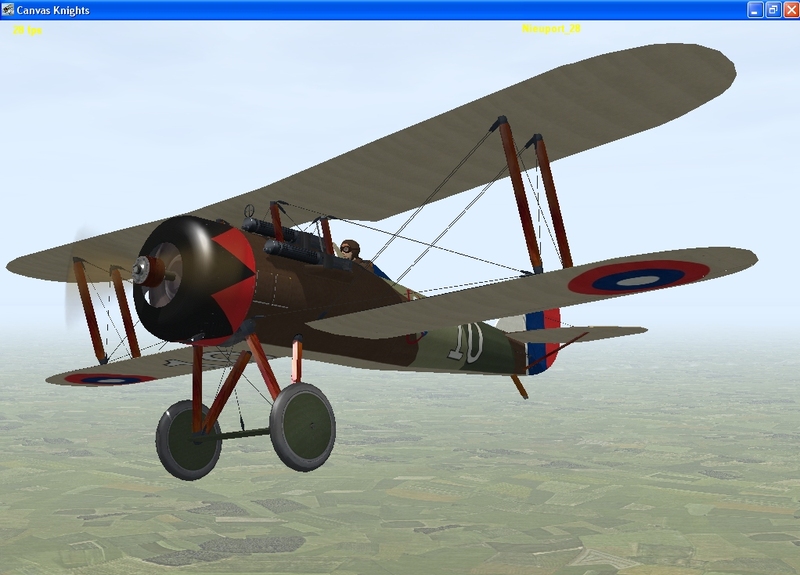 And last but not lease there is a new CK skin out today done by IL2 COD texture artist checkmysix. 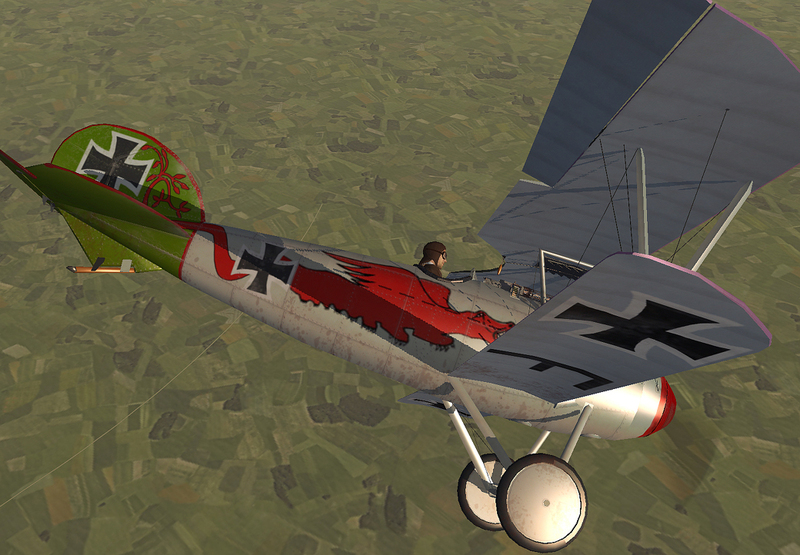 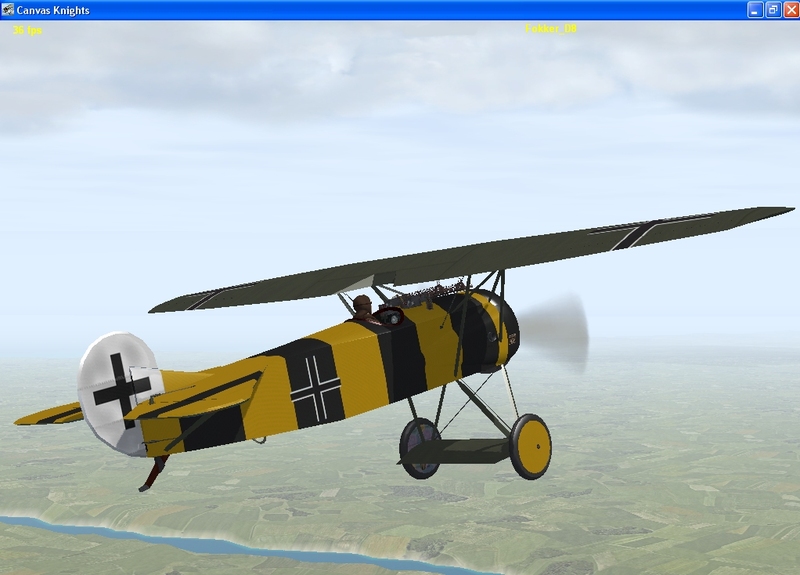 Von Hippel's Blitz Albatros D5 skin is now up for download. 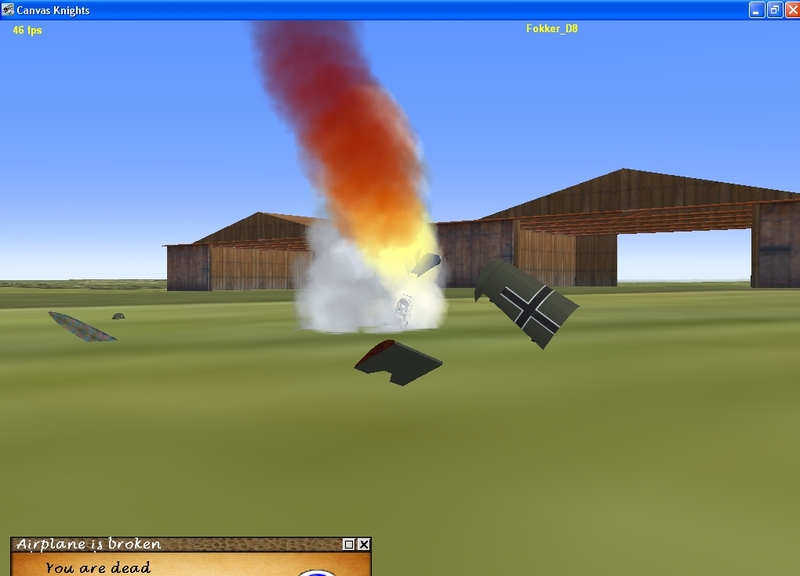 This is a quote from Darkfall45 over at Mission 4 Today. 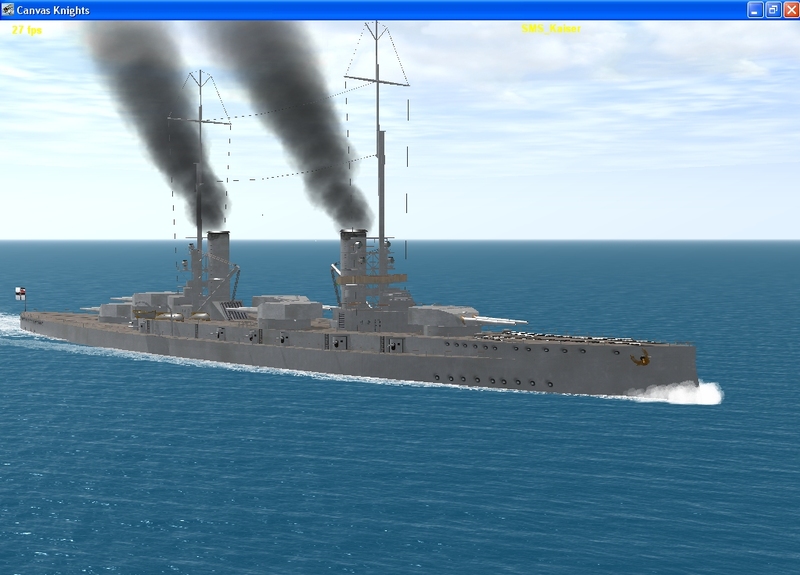 This is a lot of fun being able to control ships in the full game. 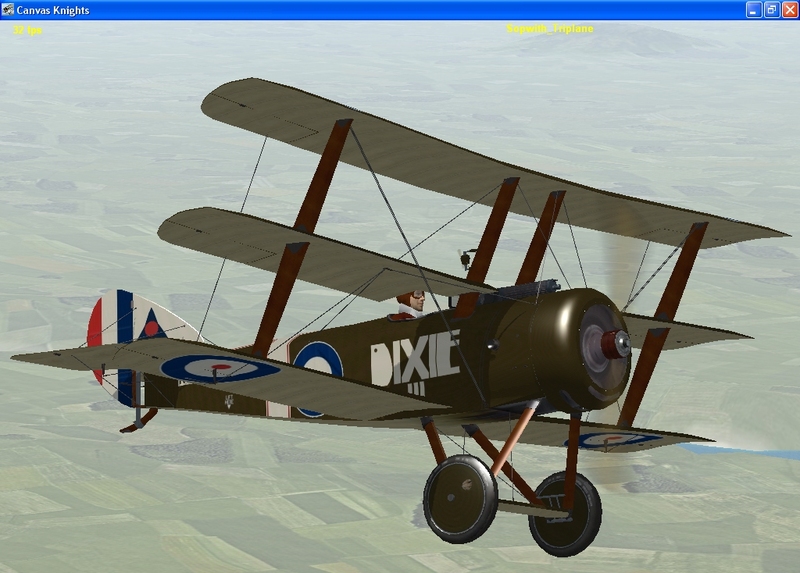 New CK skin out today done by IL2 COD texture artist checkmysix. 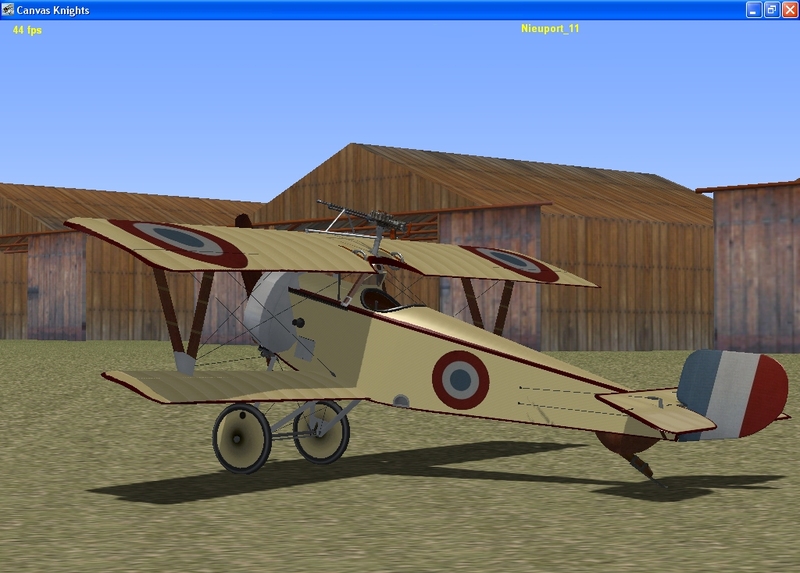 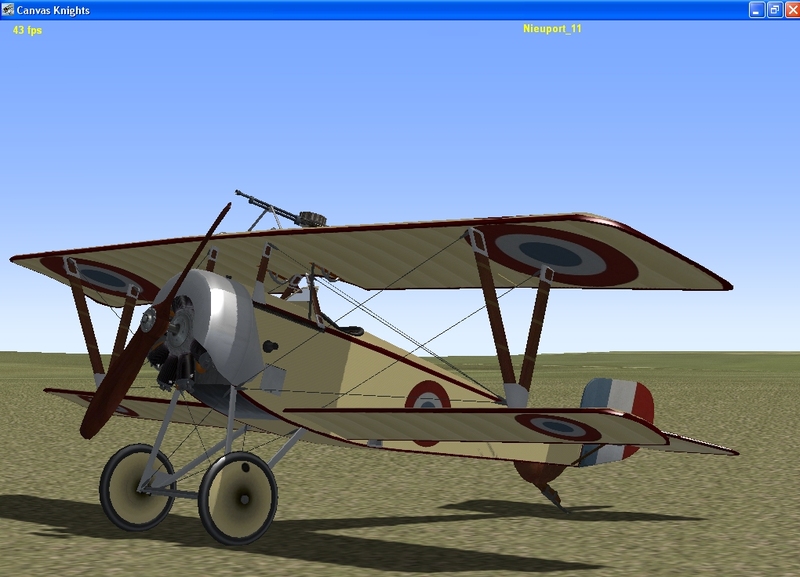 Richard Flashar Albatros D5 skin is now up for download. 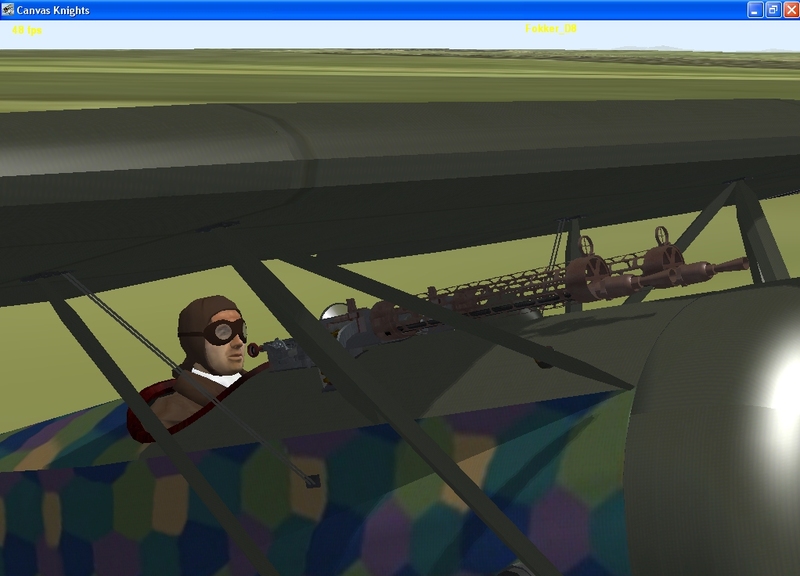 I would put out another plane for you all to have fun with. 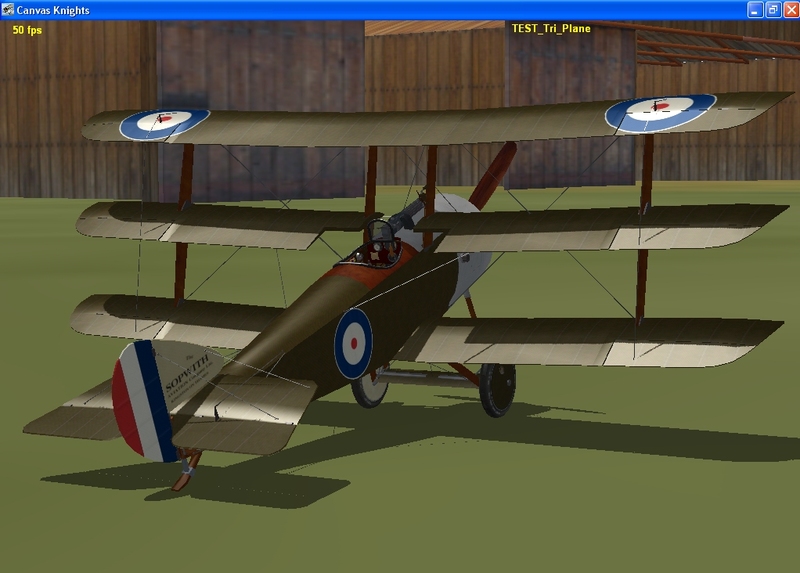 Have your first look at CK's new Sopwith Tri Plane! 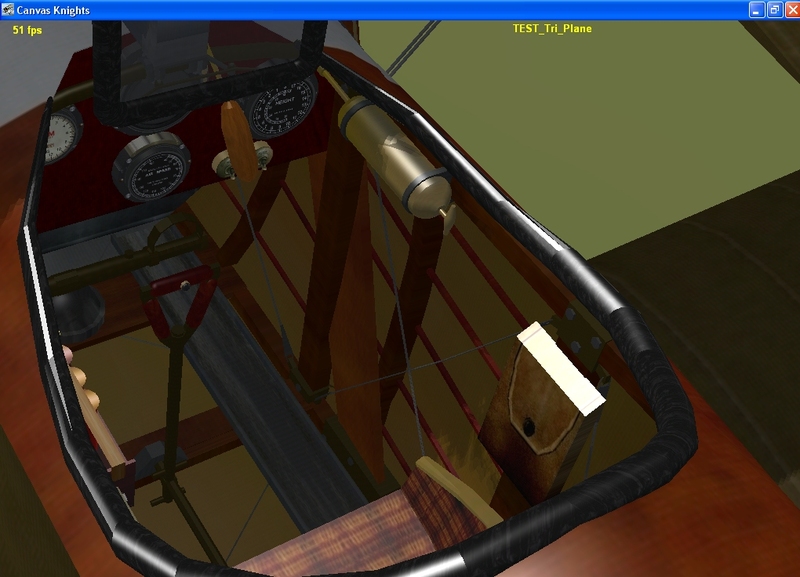 narrow wing chord: better plane! 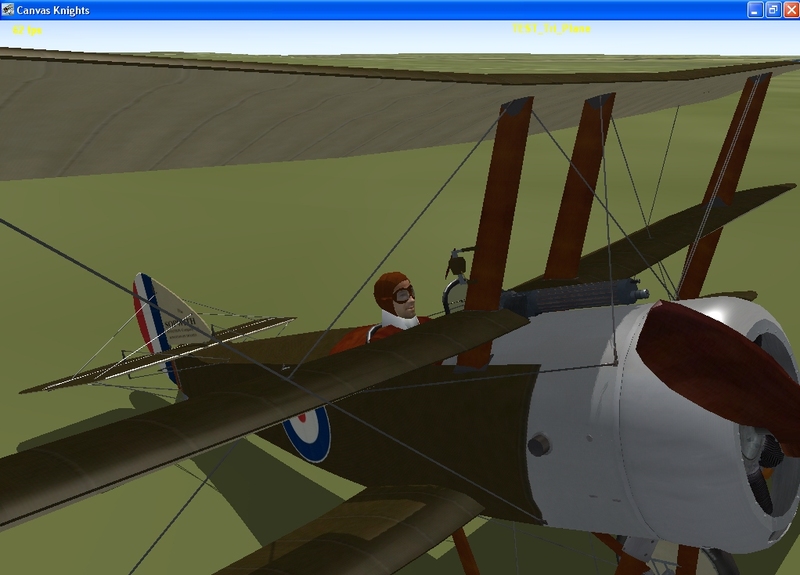 I'll feel like a Black Sheep in that 'tripe'! 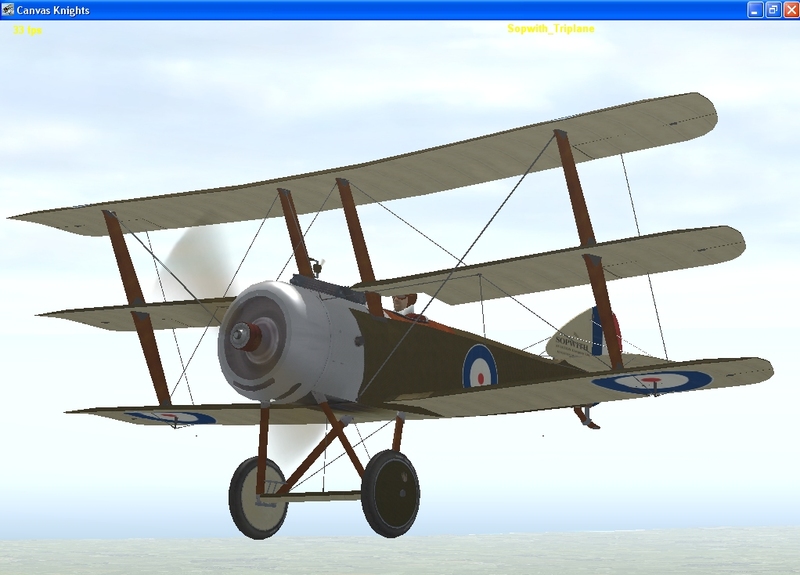 Superb as usual! 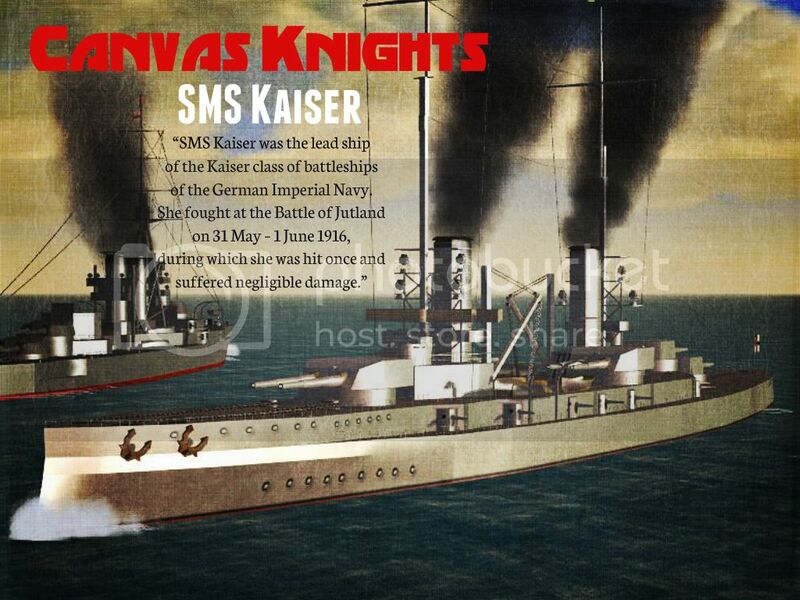 Last edited by Aktungbby; 09-25-2014 at 01:19 AM. 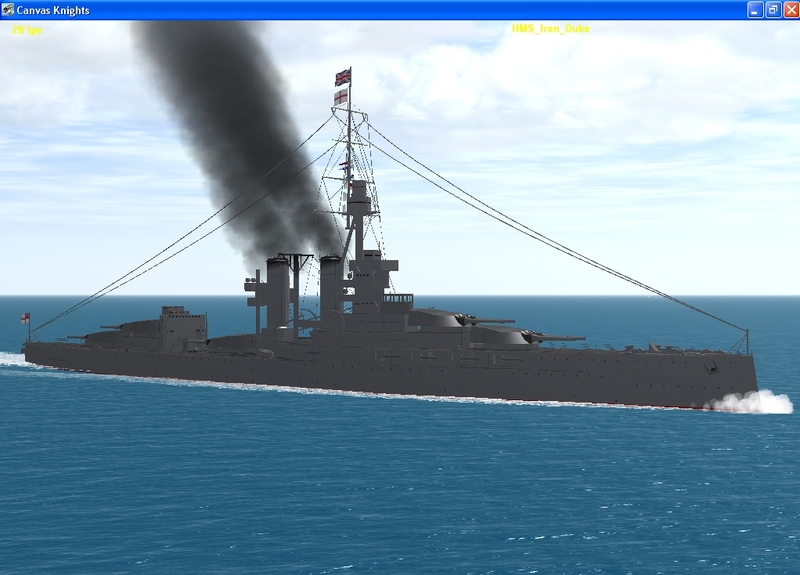 Testing out the damage model. 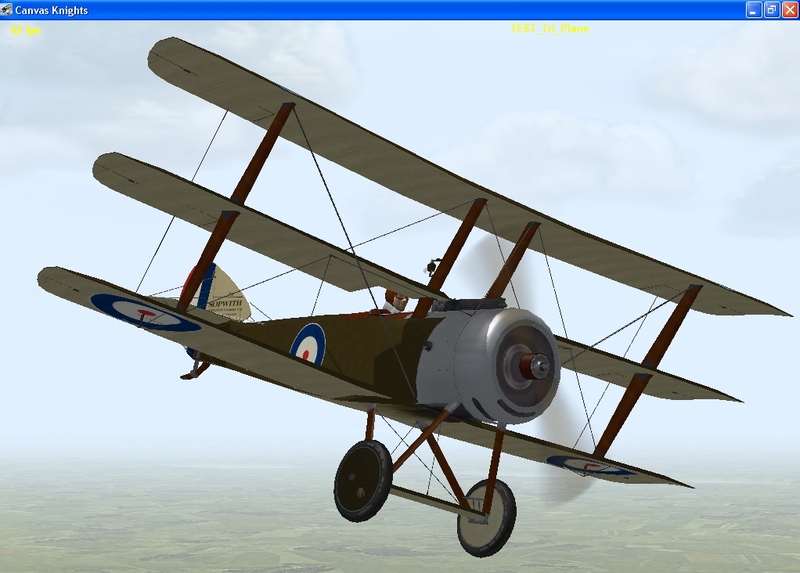 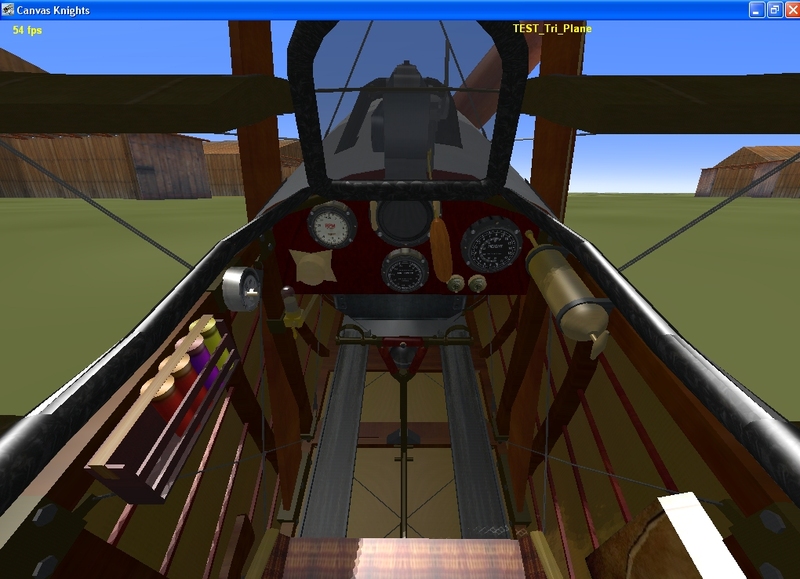 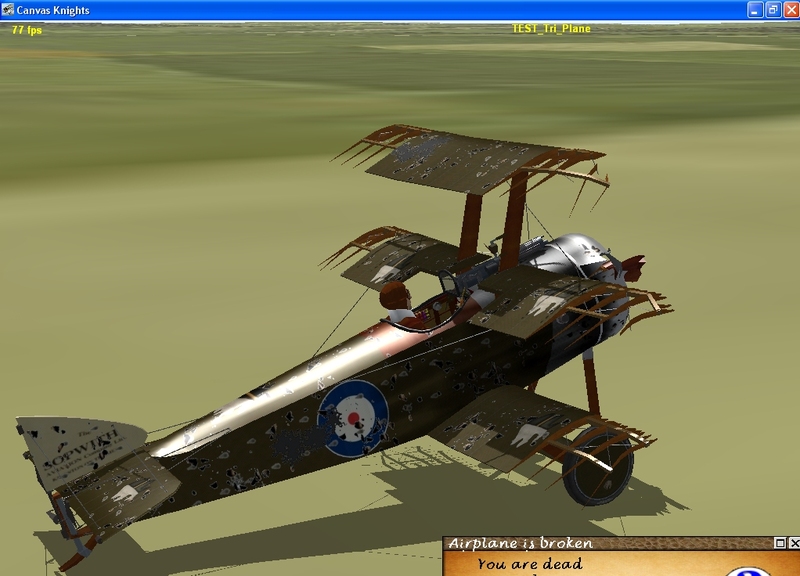 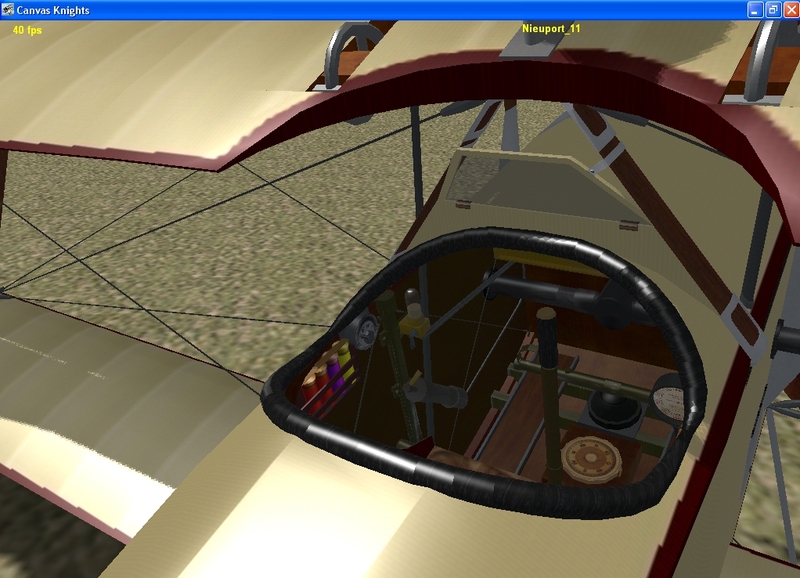 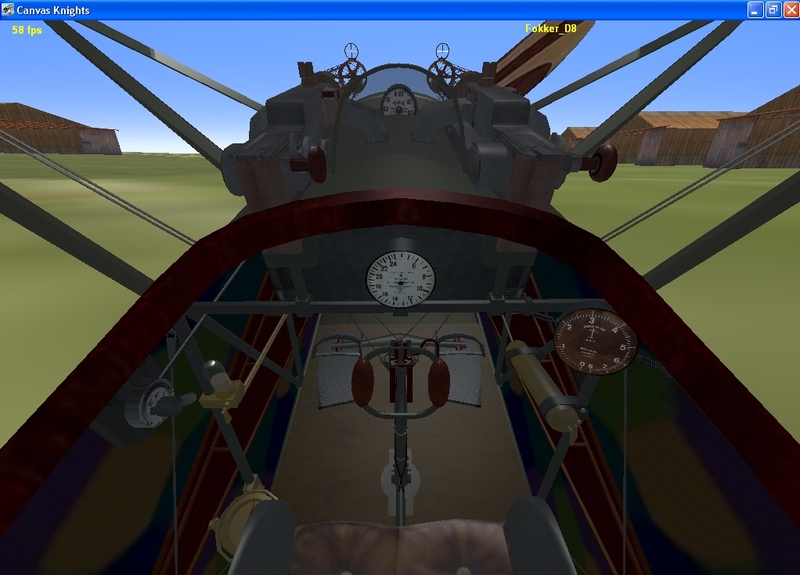 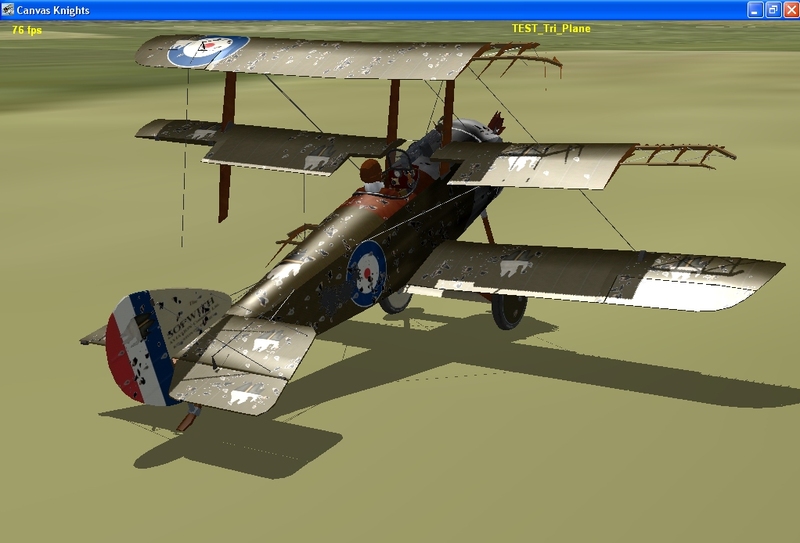 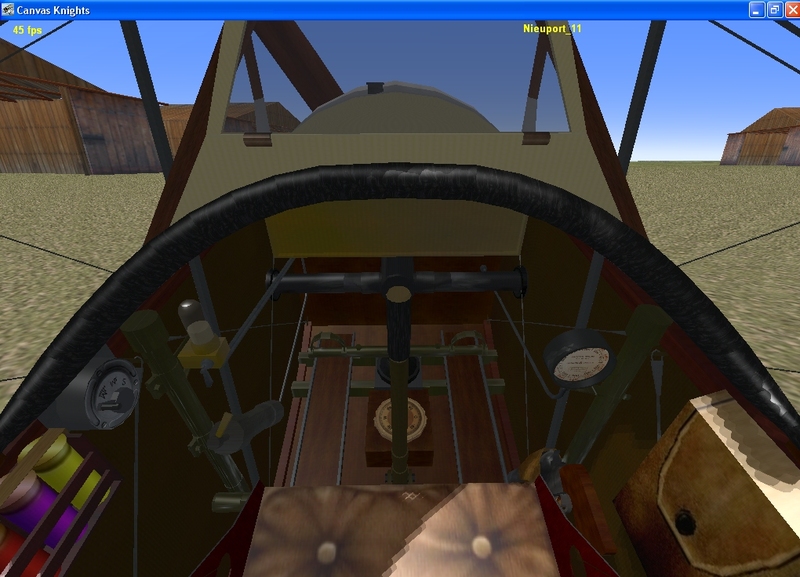 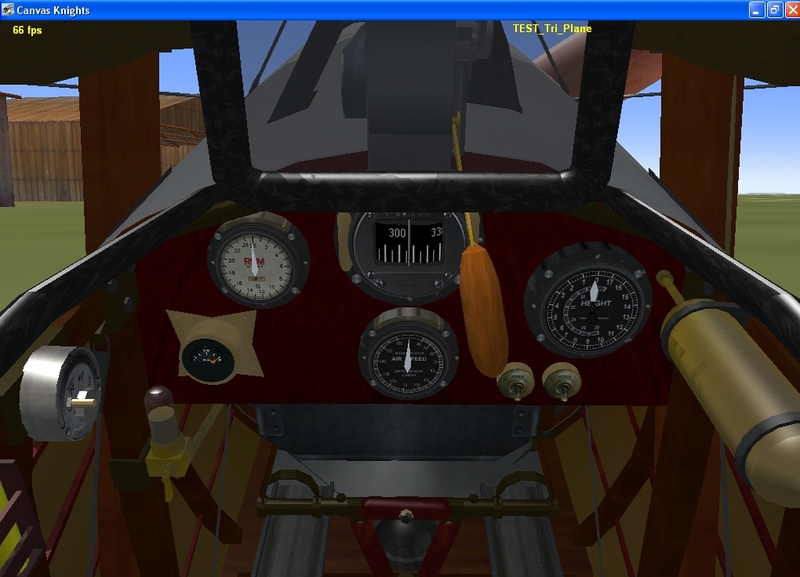 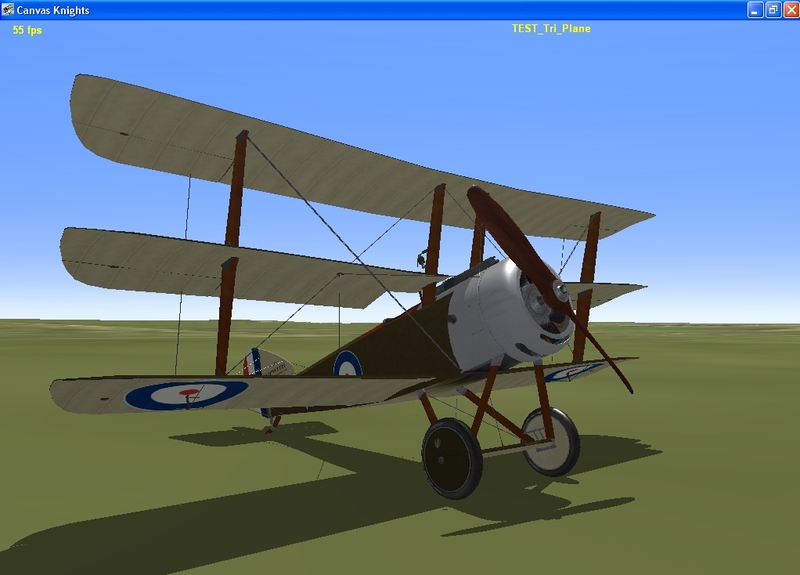 The Sopwith Triplane for Canvas Knights is now up for download! 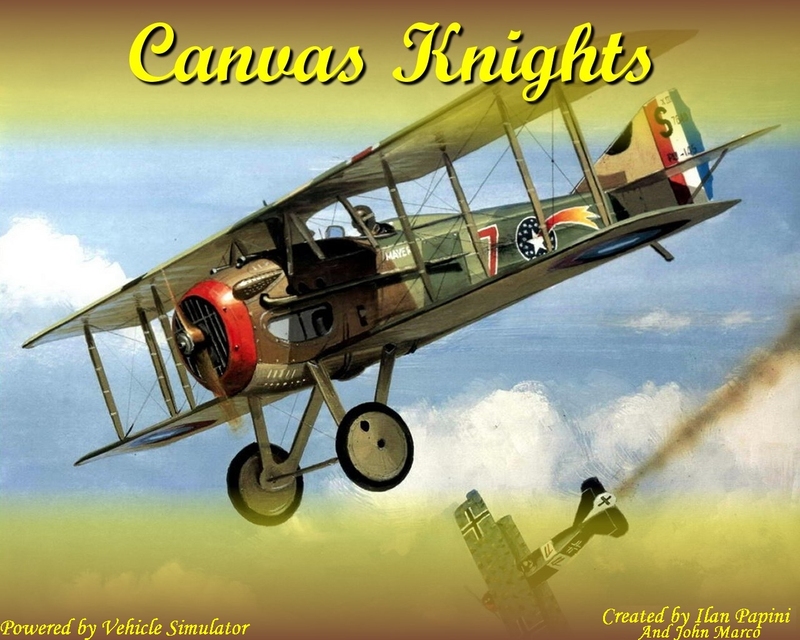 CANVAS KNIGHTS FULL GAME RELEASE! 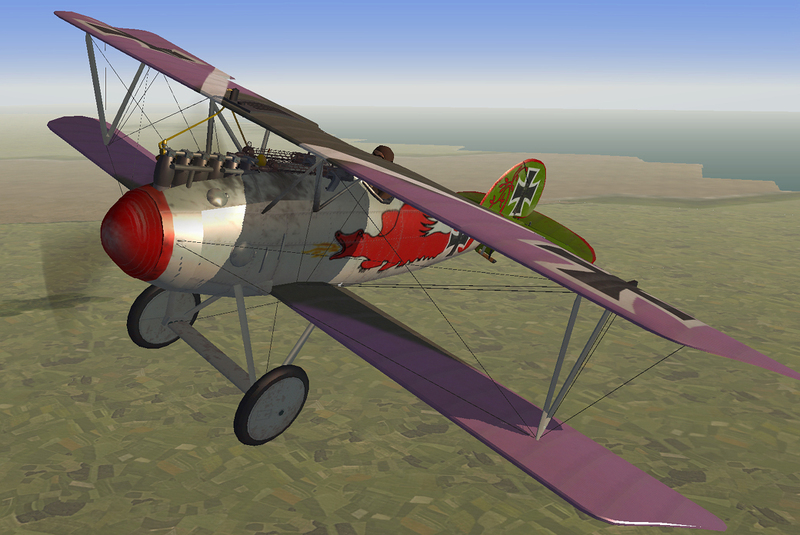 5 New Vehicles Out Today! 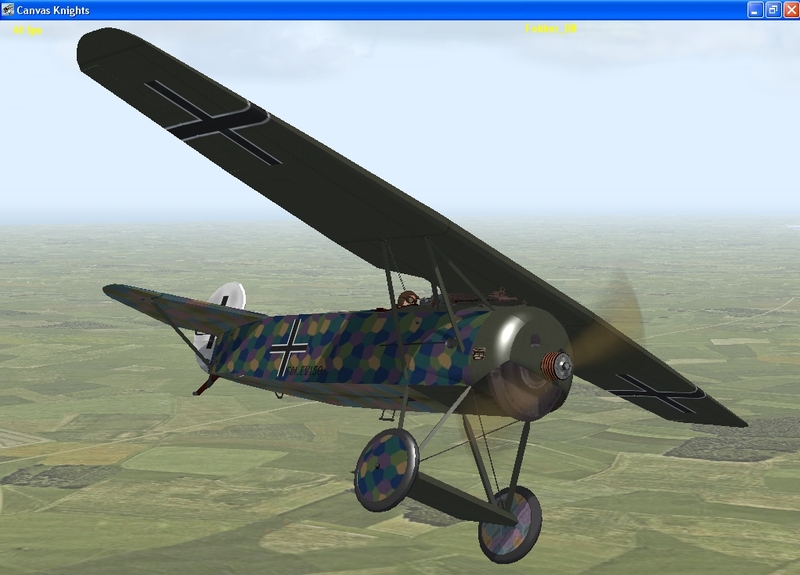 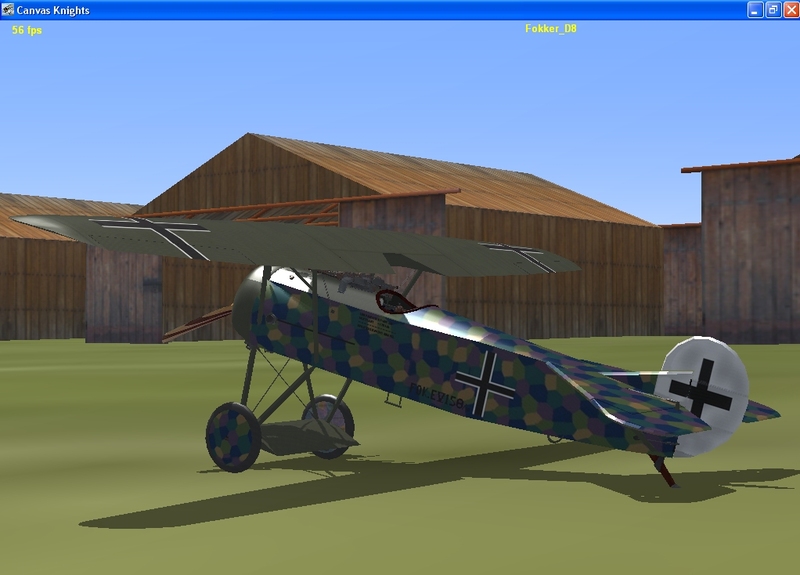 Fritz Hohn's Pfalz D3A skin is now up for download. 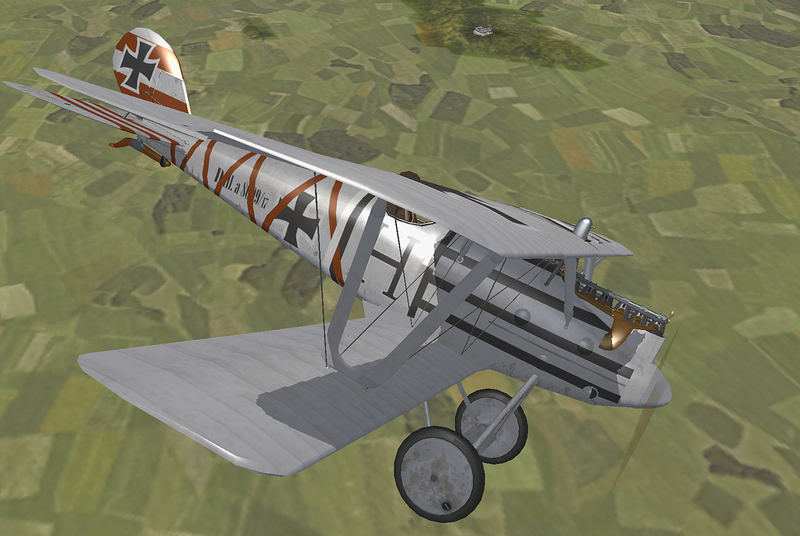 Have your first look at CK's new Fokker EV/D8! 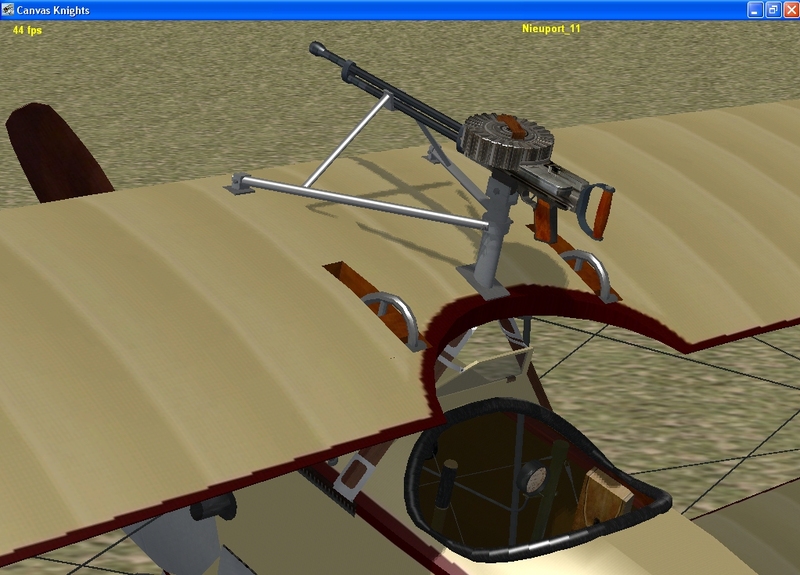 The pilot is in and the gun hammers aer working. 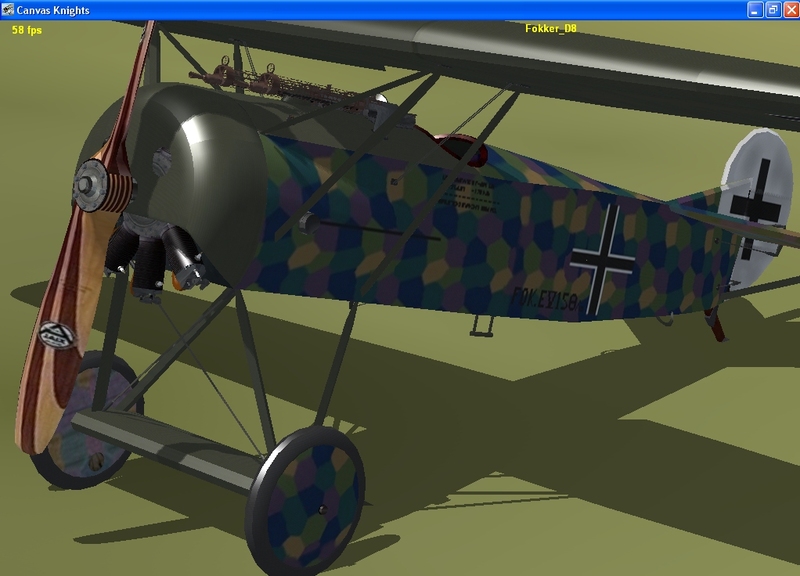 The hitboxes are done and the game just takes all the parts and throws them everywhere till I get the damage CFG done to govern the game engine on what to do with the parts. 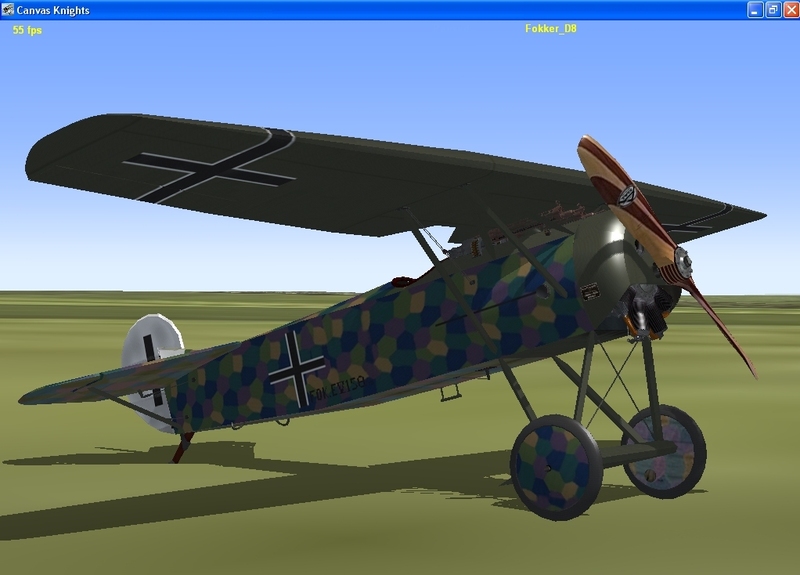 The Fokker EV / D8 for Canvas Knights is now up for download! 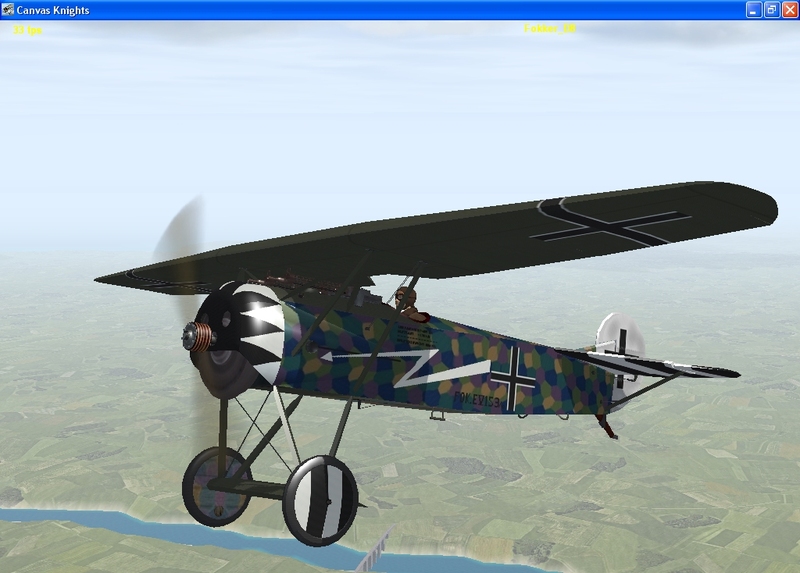 Hope you all enjoy the Fokker D8. 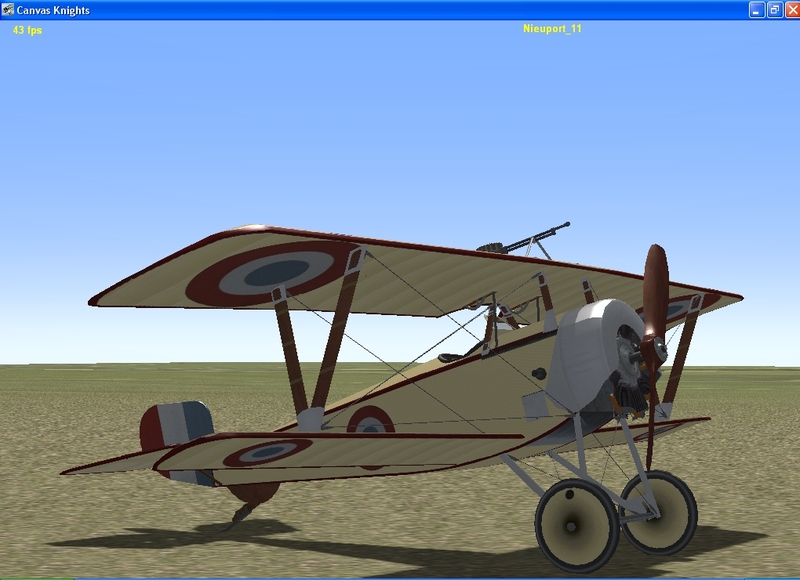 Have your first look at CK's new Nieuport 11!